There was a sharp contrast between the players in Thursday’s final of the 66th Illinois PGA Match Play Championship at Kemper Lakes in Kildeer. 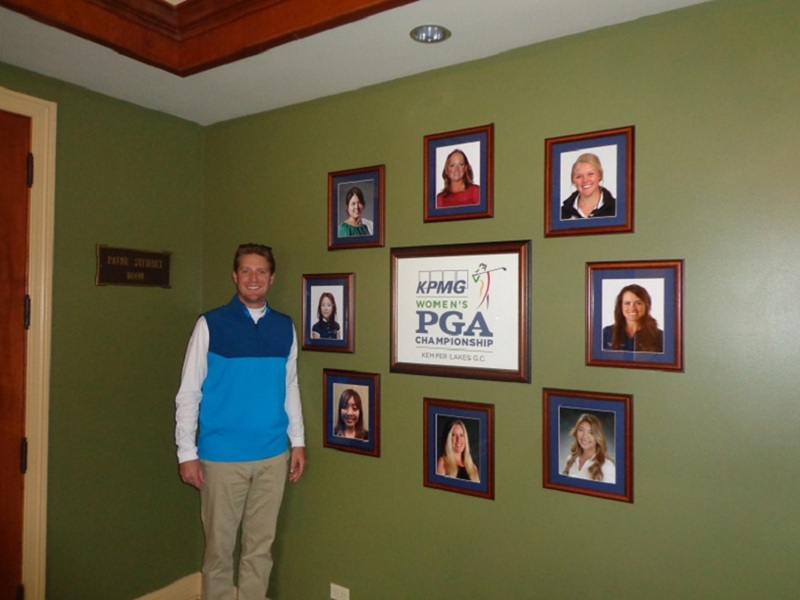 Both Danny Mulhearn, the head professional at Glen Oak in Glen Ellyn, and Jim Billiter, in his first year as Kemper’s head man, were past champions of the event – but that’s where the similarity ends. Mulhearn, 50, won his title in 1998 but entered this week’s event as the No. 20 seed. Billiter, 30, was the 2015 titlist and the No. 3 seed. Mulhearn walked in all six of his matches in the four-day tournament. Billiter, who was at least 30 yards longer than Mulhearn off every tee shot, rode in all of his six matches. Youth ended up being served, as Billiter took the $4,800 first-place check with a 1-up victory but Mulhearn left with a good feeling, too, and downplayed the walking aspect. But not with the physical demands that playing two matches for three straight days entails. Mulhearn eventually cracked when his 5-iron tee shot at the par-3 seventeenth hole wound up in a bad lie in a green-side bunker. His escape shot went over the green and he chipped long on his third shot. That enabled Billiter to win the hole with a conceded par and he took a 1-up lead to the No. 18 tee. Again showing his superior power , Billiter blasted his drive well past Mulhearn’s but his ball ended up in a bunker – one that Billiter had never reached before. He was left with a 160-yard approach against the wind after Mulhearn had put his second shot on the back of the green. Billiter responded with the shot clinched him the tournament, his ball ending up on the front fringe of the green. After Mulhearn missed his long birdie putt Billiter lipped out a birdie try before Mulhearn conceded him a par and the match. Billiter was an assistant pro at Merit Club, in Libertyville, when he won the tournament for the first time. He felt it was harder to win with the pressures of being the host pro but got the job done without playing his best. He had to eliminate three-time winner Curtis Malm, of White Eagle in Naperville, 2 and 1 in Thursday morning’s semifinals to reach the championship match. Mulhearn got there with a 4 and 2 victory over Skokie’s Garrett Chaussard. The Match Play is the first of the Illinois PGA’s four major tournaments of the season. The next two are both in August — the Illinois Open and Illinois PGA Championship.